Rhino Post successfully combines impeccable eco credentials with attractive style and understated luxury – not an easy balancing act to achieve! Spoil yourself with a memorable night out under the stars on one of the platforms at the Sleep Out camp where you will be lulled to sleep by the timeless sounds of the bush! This is prime game country - the concession shares a 15km unfenced boundary with the famous Mala Mala and Sabi Sand reserve with an abundance of wildlife moving freely between the two reserves! We love the free standing baths and outdoor showers – there’s nothing like showering in the great outdoors! the suites are raised on stilts and each boast a spacious bedroom with impressive views of the nearby riverbed from the en-suite bathroom (with a romantic free standing tub), outdoor shower and private viewing deck! Rhino Post Safari Lodge is situated at the southern end of a 12 000 hectare private wilderness concession in the Kruger National Park just to the north of Skukuza. 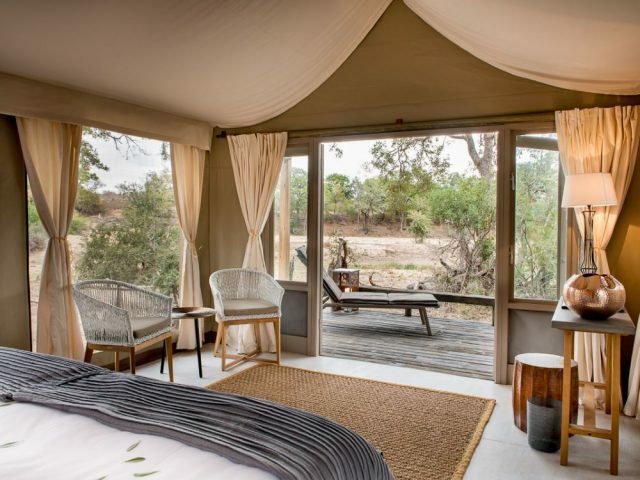 The concession shares a 15km unfenced boundary with the famous Mala Mala and Sabi Sand reserve and wildlife roams freely between the two reserves. The concession is famed for being an excellent game viewing area and good sightings of game can be expected whilst on exclusive walking trails or twice daily game drives! The concession is actually home to 2 different sister lodges - Rhino Post is the conventionally styled and more luxurious option which is set on the banks of the Mutlumuvi riverbed; then there’s a much simpler tented camp which is the overnight accommodation for Rhino Walking Safaris, a superb wildlife experience where you explore the bush on foot along with expert rangers and trackers. 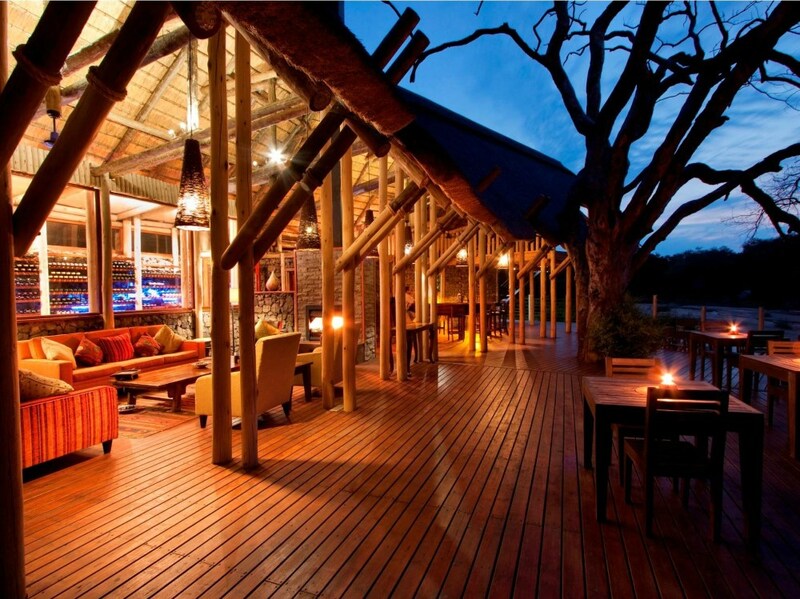 Rhino Post is a gorgeous looking lodge, yet it has been designed in such a way that it will leave no permanent impact on the bush should it stop operating at some point in the future. No concrete was used in the building in order to minimise the environmental impact for example – instead the lodge was built using only natural materials of stone, wood, thatch and canvas which also assist in creating an authentic bush ambience. Careful consideration was also taken in the layout of the lodge, walkways are raised, battery power is used for lighting while an ingenious reedbed system is used to process bathroom water and waste is sorted and recycled wherever possible. But all of this eco-friendliness in no way comes at the cost of guest comfort - on the contrary, each of the 8 luxury Rhino Post suites are exquisitely decorated and extremely comfortable. 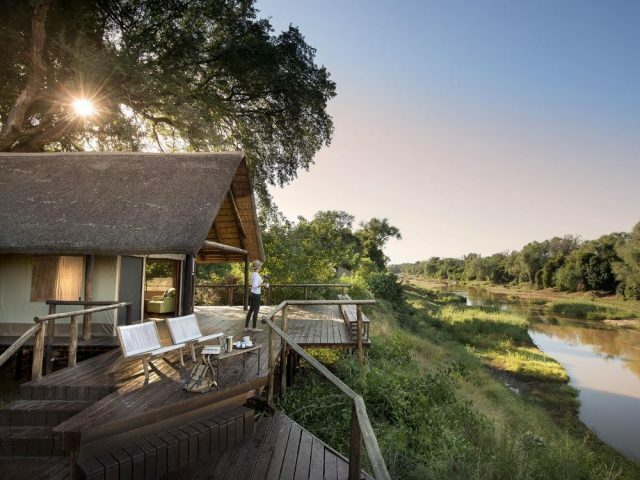 They’re raised on stilts and each boast a spacious bedroom with impressive views of the nearby riverbed from the en-suite bathroom (with a romantic free standing tub), outdoor shower and private viewing deck! The suites are set in an open plan style with wooden floors, thatched roofs, canvas walls – we also love the bathroom floors which are attractively decorated with delicate mosaic designs set into the tinted cement screed. The lodge’s main public areas are similarly attractive and inviting. The open-plan lounge area with its stunning stone packed walls, cosy fireplace and welcoming bar area complete with an eye catching exposed wine cellar is the perfect spot to relax with a good book or a chat with fellow guests to about what you’ve seen that day (and with the lodge accommodating only 16 guests friendships are easily formed!) Following a game drive or walking safari you can take a dip in the revitalising swimming pool or take in the views from the shaded patio and watch the abundant wildlife amble down to the waterhole. Sumptuous meals are served in the camp’s dining area set under magnificent Tamboti trees. Every morning and late afternoon you embark on a game drive with senior rangers at the lead who hold the highest guiding qualifications possible in South Africa so you can be ensured of informative and exciting drives. One important thing to note is that unlike many other private lodges, Rhino Post doesn’t allow off-roading in order to preserve the pristine environment on the concession. On the plus side though, SANparks have given Rhino Post exclusive access to many of the Kruger Park roads after dark when the self-drivers have to be back in the park’s public camps and other concession holders back on the properties. 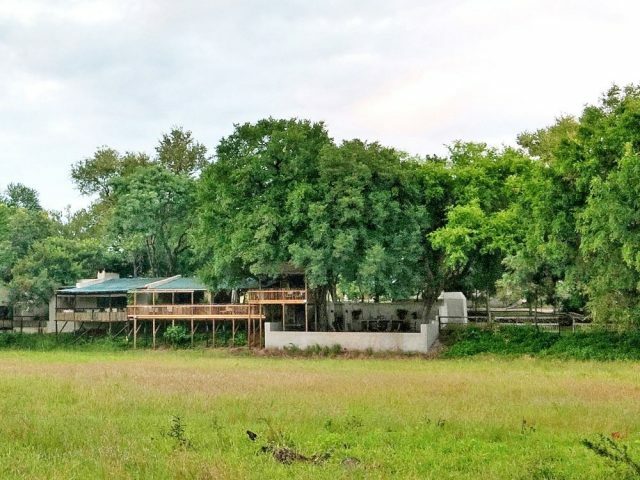 This ensures you get the unrivalled numbers of relaxed animals that the Kruger is able to offer without the tourist hordes that usually go along with it! You’ll be pretty unlucky not to end up seeing the Big Five and more, with regular sightings of cheetah and the endangered wild dog also frequently on the menu! Another unique (and extra cost) experience that Rhino Post offers is the chance to overnight under the stars at the unique Sleep Outs camp – the Sleep Outs platforms overlook a waterhole where you will enjoy the sunset whilst sipping on an ice cold beer - while your ranger prepares a braai you can relax and enjoy the sounds and beautiful African sunset colours as night settles! 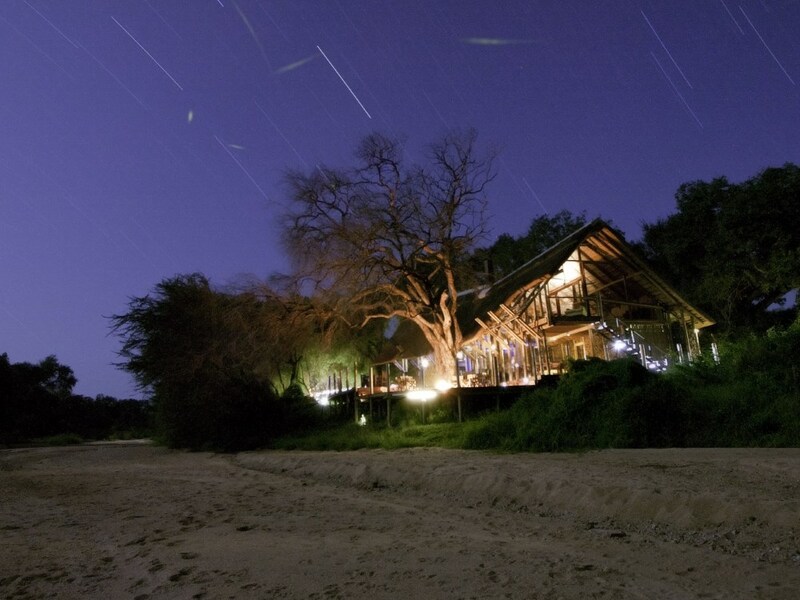 After dinner you can head off to your platform and enjoy sleeping under the star studded sky – your experience is heightened as you share the wilderness at night, with its natural inhabitants! The rumble of elephants passing by or the roar of the lion at the nearby waterhole may be the only noises that might disturb you in this peaceful wilderness – an unforgettable experience! One of our favourite lodges of all with a stunning riverside location with close-up waterhole views -a recent stylish design revamp has just added to its appeal!